When registering your daughter, make sure you list her fall grade. Players must be students at Blessed Sacrament School. Players are only allowed to participate on one grade level team. If additional substitutes are needed, coaches will pull from lower grade levels. Click here for tryout dates, camps, updates, and league schedules. Coaches for 3rd, 4th, and 5th are two Virtus trained parents. 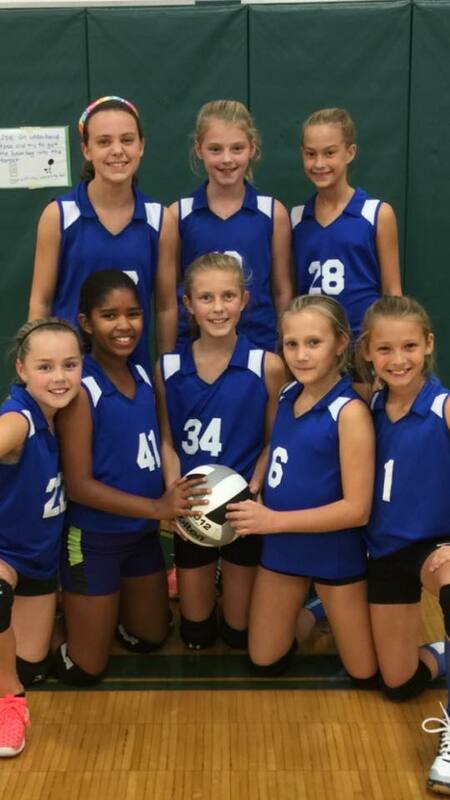 Please consider coaching your daughter’s team (no volleyball experience necessary). Coaches for 6th, 7th, and 8th recreational teams are also two Virtus trained parents (volleyball experience preferred, but not necessary). When registering your daughter, please complete the volunteer section if you would like to coach. Tryouts for competitive teams will be held in May. To be considered, the player must attend all tryouts for her prospective grade level. Results of tryouts will be emailed within a week. Those that do not make a competitive team will automatically be placed on their grade level Recreational team. Coaches for the competitive teams are non-parent Virtus trained volunteers. Recreational Teams – 1 practice and 1 game per week. Competitive Teams – 2 practices and 1 game per week. Leagues typically start the third week in August and end late in October. Practices may start early August, based on gym availability. Please email BSSgirlsvball@gmail.com with further questions.